As I wrote in my coverage of this year's HighEnd Munich show, a surprising new brand from Austria emerged from the three short letters WLM. Originally known as Wiener Lautsprecher Manufaktur, Hannes Frick's company had eventually become known simply by its initials WLM which were easier to spell and pronounce. In München former WLM designer Martin Schützenauer had split off with a new partner under the relaunched again fully spelled-out brand name whose logo now abbreviates as WIM. 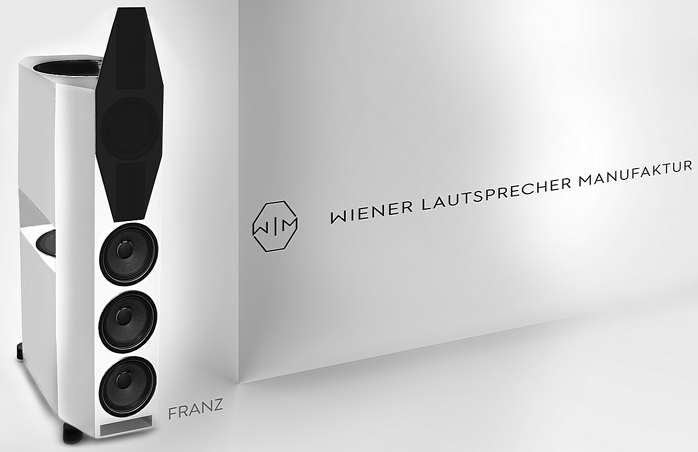 During show time their new website wiener-lautsprecher-manufaktur still had a place holder. 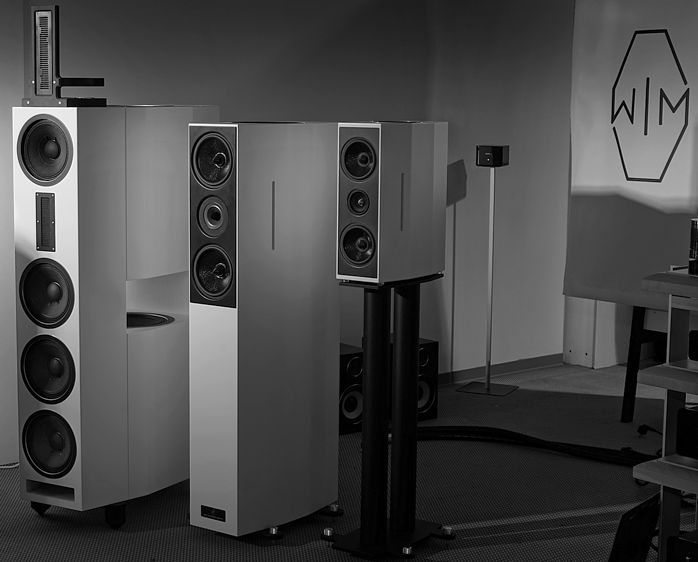 Two weeks latter it rolled over to the freshly minted wlm-audio site which seems precariously close to the wlm-loudspeakers and wlm-acoustics sites which Martin's old boss Hannes Frick continues to run for his speakers and Trafomatic-built valve electronics. Now I had opportunity to read up a bit on Franz, Martin's new flagship whose gun-shot power and speed had surprised me at the show. One pair of these quite compact towers combines 8 x 12-inch, 8 x 8-inch, 2 x 6-inch dynamic and 4 x ATM drivers for 100dB sensitivity at barely 1.5m height. Or as Martin's sales copy puts it, "40 years of know-how pooled into it. Franz operates as a dipole across the full bandwidth. The acoustic center of the speaker sits below 50cm. The entire energy accelerates from a single point to generate unbelievable dynamics. Franz will reproduce realistic grand orchestral SPL in their original phase where for example background winds and brasses will be cast a few meters behind the speaker. Extreme power is radiated at turbo speed. The eight 12-inch woofers are driven by 8 x 500-watt class D modules. Franz puts more than 200kg on the scales." This flagship speaker is available in fully or partially active versions. Looking at WLM's current catalogue, one notes various two-ways in monitor and tower guises but nothing even remotely as ambitious as Franz. Here one presumes to spot one reason for Martin Schützenauer's breakaway - freedom to follow his muse unrestrained. The sonics in München certainly suggested a new direction too which should be of particular appeal to listeners whose primary reference and favoured fare is amplified music at close proximity and high SPL. 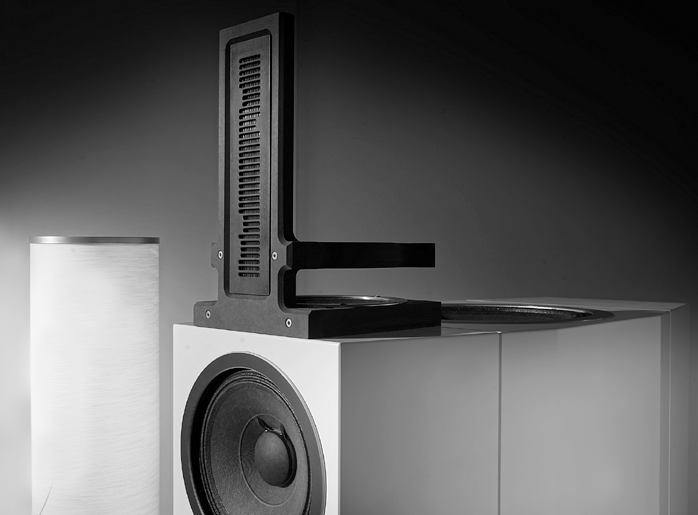 If you thought big hornspeakers were your only option, think again. The coiled reflexes, exploded cone surface, highly damped sealed bass arrays and deliberate radiation pattern of the top WIM model exceed what most hornspeakers put on the scale and do so in a physically far more liveable package. For many years Zu's big Definition claimed the most horsepower in the smallest physical footprint of one square foot. Today Emme's big speaker puts four drivers on the front and a Definition-type array of four line-source woofers on the back. But nothing I know of comes close to packing two force-cancelling active woofer arrays per side plus a line-source frontal array plus an upfiring dispersion-lens radiated midrange in as compact a form factor as does Martin Schützenauer's new Franz (perhaps named after legendary German soccer captain Franz Beckenbauer whose nick at the time was Kaiser). For most people this is far more speaker than they'd ever need (hence WIM has smaller models). But for those who need the SPL and dynamics of amplified live music, there's perhaps no better choice either.